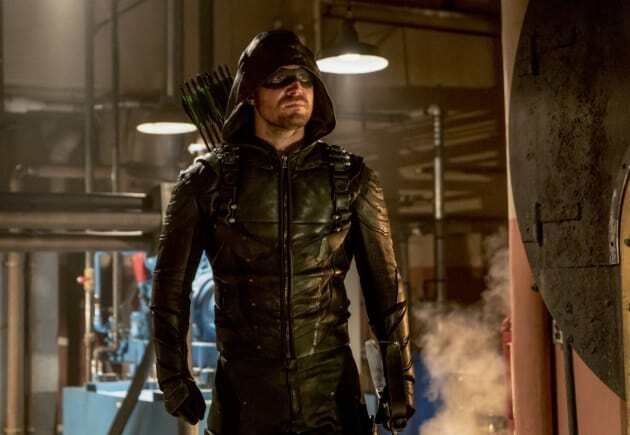 Stop the presses, Oliver Queen is the Green Arrow...again?! We are shocked! 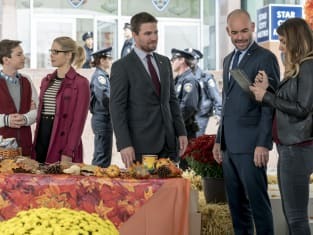 Arrow Season 6 Episode 7: "Thanksgiving"
Arrow Review: Happy Messy Thanksgiving! Diggle: I never should have said I was doing it for you. Remember last year, when the Dominators put us into this alternate Star City? Oliver: Yeah, kind of difficult to forget. Diggle: We got to see what our perfect life would be. Mine was being the Green Arrow. Permalink: We got to see what our perfect life would be. Mine was being the Green Arrow. Cayden: You do see how that could have gone wrong, yes? Black Siren: Yes, but it didn't! Permalink: Yes, but it didn't!